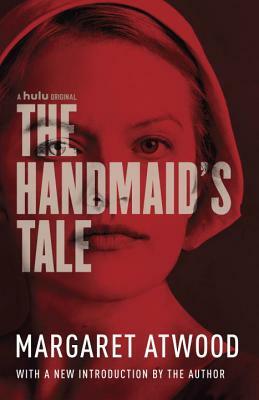 From the author of Alias Grace and the Maddaddam trilogy: here is the #1 New York Times bestseller and seminal work of speculative fiction, now an Emmy Award-winning Hulu series starring Elisabeth Moss, Samira Wiley, and Joseph Fiennes. Includes a new introduction by the author. Margaret Atwood, whose work has been published in thirty-five countries, is the author of more than forty books of fiction, poetry, and critical essays. In addition to The Handmaid’s Tale, her novels include Cat’s Eye, short-listed for the 1989 Booker Prize; Alias Grace, which won the Giller Prize in Canada and the Premio Mondello in Italy; The Blind Assassin, winner of the 2000 Booker Prize; Oryx and Crake, short-listed for the 2003 Man Booker Prize; The Year of the Flood; MaddAddam; and her most recent, The Heart Goes Last. She is the recipient of the Los Angeles Times Innovator’s Award, and lives in Toronto with the writer Graeme Gibson.